Shoot, stab, stab, stab, run away, stab, stab shoot. Repeat. Okay, so the basic mechanics of a military shooter have not changed that much in the past few years. A multiplayer match still consists of running around in a crazed stupor, jumping or dropping prone to avoid cheap killshots, and plenty of random stabbings at close range (if you do not know how to stab opponents in these online gore fests, you probably are not winning too many matches). 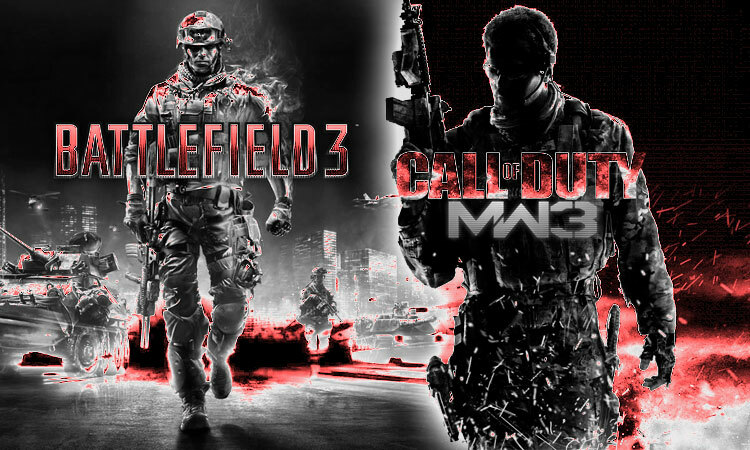 The two biggest games of the year – Call of Duty: Modern Warfare 3 and Battlefield 3 – both include online modes that at least attempt to add new gameplay elements, as the millions of people that play them (and the millions of beleaguered loved ones) can attest. Both games started shipping not long ago, and have done insane sales: Battlefield 3 has sold over 5 million copies and become the fastest-selling title in EA’s long history, while Call of Duty: Modern Warfare 3 has pulverized entertainment records on the way to selling $775 million in five days. Both games were, of course, bolstered by long running, and semi-fanatical fanbases that helped make both games mega-hits even before the respective games were released, and both groups have swarmed to their beloved games. So much so that even if you play at 2 a.m. on a national turkey-related holiday, you’ll still only wait a few minutes at most to find a room full of gamers playing deathmatch (believe me, I’ve tried). Ever since both games came out, there has been a huge amount of chatter between the fans, and the rivalry between the two is fierce. Both sides are utterly convinced that their chosen military shooter is the best shooter, and nothing will convince them otherwise. So with that in mind, I decided to take an impartial look at the both titles. I sat down with each title and extensively tested every online mode, the weapons, and maps to see which one is the reigning king of online shooters. There’s one noticeable difference between the two games. 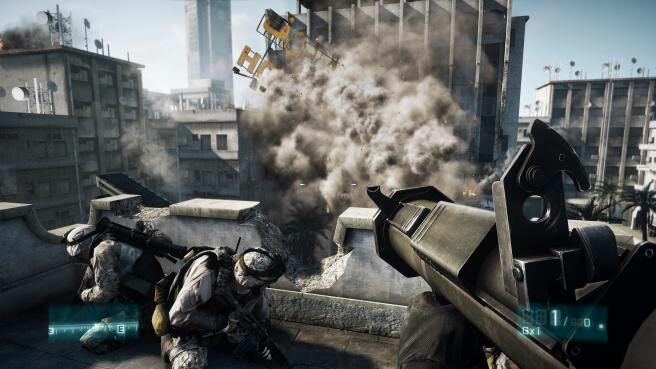 When you first load up Call of Duty: Modern Warfare 3, you have to wade through a few initial setup screens, but Battlefield 3 makes you jump through more hoops. The first time you connect online with BF3, you will need to enter an EA online pass, unique to each copy of the game. In other words, be careful if you buy this game used, because once a pass is activated you can’t use it again under a different profile, and will need to purchase the pass for around $15. Load times for both games on the Xbox 360 were reasonable, although I started hating the BF3 start-up animations. In total time, MW3 gets you into the action faster from initial start-up to first shot. One other quick note: Battlefield 3 seems to have a few compatibility problems. When I tested it on a PS3, the game crashed a few times when the screen locked up suddenly. I also had to perform two updates to the game (one was 222MB and one was well over 700MB), where MW3 has had a few, but none larger than 4MB. 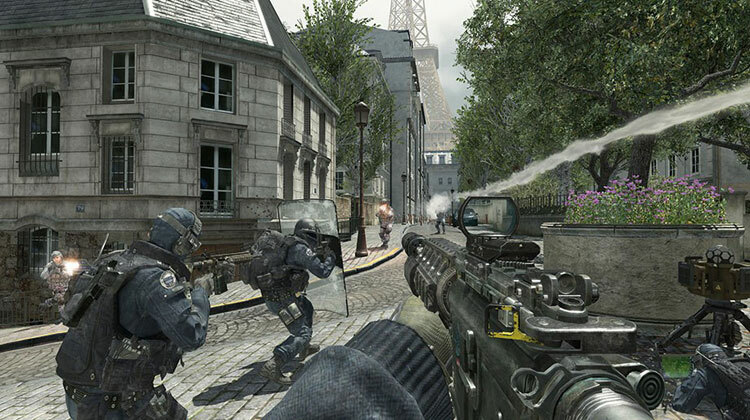 Modern Warfare 3 continues the tradition that began with Call of Duty 4: Modern Warfare and has become a staple of all the Call of Duty games, the much beloved, and oft-reviled, killstreaks. In MW3, rather than the traditional killstreak setup where you earn rewards through successive kills without dying, you now have “strike packages.” Those come in three versions: Assault, Support and Specialist. Each package contains different rewards and is tailored to a different play style, and each is customizable as you increase in level and earn more choices. The Assault package is the traditional setup, as consecutive kills earn you things like a UAV, a predator missile, or a sentry gun, as well as several new rewards, like the helicopter strafing runs. Perhaps the best new addition is the support package, which allows you to earn rewards by doing things to help the team, including kills, capturing flags, defusing bombs, etc, but dying does not reset the counter. These rewards are also more geared toward support elements, and offer things like ballistic vests, a recon helicopter that you can control and use to mark targets, and an EMP. Killstreaks are amazingly fun because they add tension to the match. There’s a delicate balance as you gain more kills while using the assault package: You still need to play aggressively, but everyone else on the map is gunning for you because they know about the killstreaks as well. The longer you go, the more you become a target, adding to the tension. When you are using the support package, it is also nice, because even if you die constantly you can still find a way to help the team. As with MW2, they can sometimes overwhelm a game, but not to the extent that they used to, and the offensive rewards seem to do less damage — which is a very good thing. Battlefield 3 relies on different classes, but to a much greater extent. (You won’t find anything like the killstreak rewards, though.) There are classes for supporting other soldiers, although now there is no dedicated medic. There’s the usual mix of recon sniper and the typical run-and-gun marine type; they are almost identical to those found in Battlefield Bad Company 2. Where BF3 gets more credit in terms of realism is that these classes have a greater impact not just on how you play, but on the outcome of the matches. If you choose the support class and equip yourself with heavy guns to provide ammo support for other troops, you will find you move slower and need to think about finding hiding spots. MW3 also weighs you down and makes you slower if you carry a massive gun, but it’s not quite as significant as it is in Battlefield 3. Another point in BF3’s favor is that, these classes also have a direct impact on the online match. If too many people are running around on the front lines shooting down enemies without troops providing support, your team will lose. It’s easier in MW3 (but still a bit foolish) to just run around after each respawn and go find someone to shoot. That makes BF3 more tactical overall, and arguably more fun to play, especially if you are looking for a teamwork-oriented experience. Still, just because Battlefield 3 is more tactical and authentic does not mean it is superior overall. There is something to be said for the faster gameplay in MW3 when matched with the killstreak perks that makes you want to keep playing, even with the occasionally frustrating round. In some ways, the difference between the games is that BF3 is meant for a bit more of a long-form experience working with teammates, whereas MW3 has a greater emphasis on quick games, where you accumulate as many kills as possible. Oddly though, it is much more difficult to form a party of your own friends in BF3 than it is in MW3. In fact, I found that MW3 won out over BF3 for gameplay because of the killstreak perks. Some people love them, others hate them, but from an impartial point-of-view, unlocking rewards (along with more weapons, perks, badges, etc.) is a compelling force. BF3 does not provide quite as much incentive to keep playing, even if the game has much larger maps and more tactical combat.